The answer is 25% decrease. 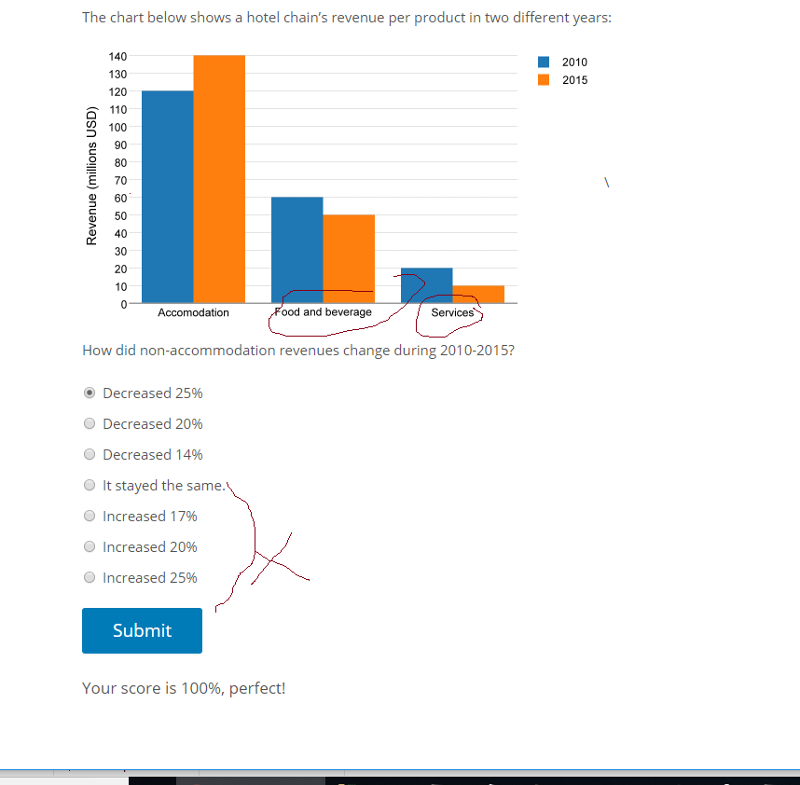 From the graph, I eliminated the 4 answers because the graph for "food and beverages" and "services" has decreased. ah, I misunderstood the graph.